Saving for the purchase of a new home is sometimes easier said than done. You know that your credit needs to be in good shape, and you know you should have 20% saved for a down payment, but getting to that point can be difficult. To save for a down payment, you need to have extra money that you can put aside each month, which not everybody does. And the more expensive the home, the more you’ll need to save. If you are in debt and struggling to make ends meet, there is good news. The Freedom Debt Relief program could help you get one step closer to achieving your dream of homeownership. Saving for a Home – Where Do You Start? If you have made the decision to save for a home, the best way to start is with a plan. Research the market to get a general idea of home prices so you can determine how much you’ll need to put aside. Once you have a savings goal, try to decide on the ways that you can reach it. The fastest two ways that you can do this are by earning more and spending less. You can earn more money by doing things like taking on a part-time job. This could be delivering pizzas, driving for Uber, or even babysitting. Or, if you have a talent or hobby that you enjoy such as making jewelry or woodworking, turn this into a side business and earn a little money off it too. Another way to generate more money is by selling things you no longer need. Have a garage sale or list things online for sale. Just make sure to stay disciplined with putting this money aside each month as you work towards your goal. By reducing your expenses, you can also free up money to save for a down payment. This can be done a number of ways. First, take a good look at what you are spending your money on. Is there anything that really isn’t necessary that you could give up, at least for a while? Be mindful and track your expenses. This simple awareness can shed new light on your spending habits. Additionally, take a look at the bills you pay each month. Are there ways to get these down? For example, adjusting the temperature on your air conditioner when you are at work each day could decrease your energy bill by up to 15 percent. Speaking of bills, how much are you paying on credit cards each month? If you are simply making minimum payments, it could take a long time to pay them off. The money you are paying on these balances each month could be going towards your future home instead. And this is where the Freedom Debt Relief program could help. With this program, you could become free of credit card debt, leaving more money available to put aside for a downpayment on your home. 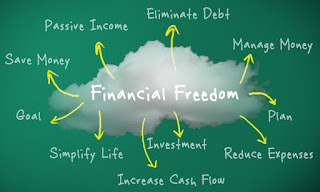 Freedom Debt Relief is a program designed to help you resolve your debt quickly and for less than you owe. The program is customized specifically to your needs by one of their Certified Debt Consultants. So, you could receive significant savings compared to making your minimum payments each month. Plus, you could pay your debt off much quicker. Because our debt consultants are highly skilled in settlement negotiation, they will create the best negotiation strategy for your settlements, work through the timing and details of each one, and could also leverage your accounts against each other to negotiate even bigger savings. Once a settlement is reached with one of your creditors, they will contact you for approval. And you pay no fee until they have successfully settled the account for you. Want to learn more about how Freedom Debt Relief could help you get one step closer to home ownership? Give them a call today for your free, no-obligation consultation.